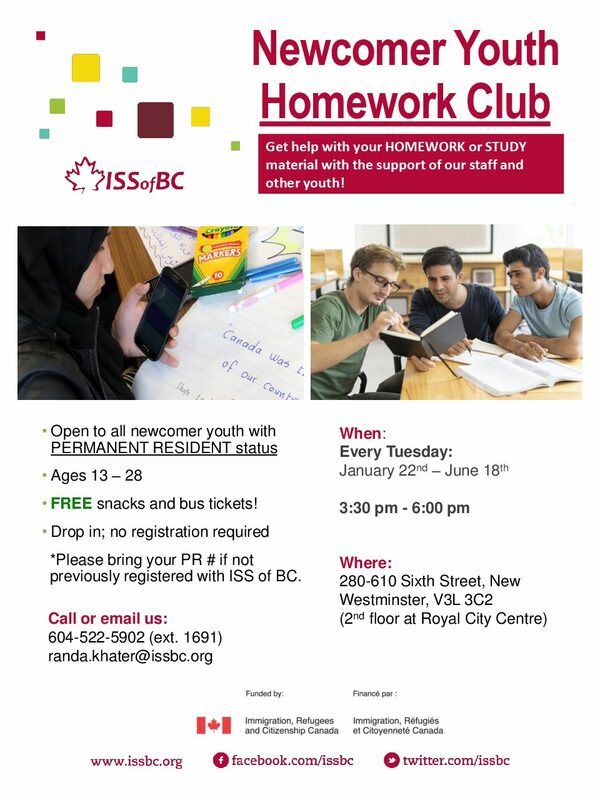 This program is to support newcomer youth (high school/university students) with their school work, whether that is to complete homework or to review study material. All subjects are welcome. Youth will get bus tickets, free snacks, and a chance to connect with other youth and receive support. Registration not required.